This month, I attended my third New York Tolkien Conference, and I thank Anthony Burdge and Jessica Burke for the opportunity to contribute my poor thoughts to this web site. I am an academic librarian by trade and vocation, and I have published one article in Mythlore journal. Standing upon that slender reed of expertise, I offer the first of several posts reflecting upon my experience at the 2019 conference, held on Saint Patrick’s Day at Baruch College. Reflection takes time, and therefore patience, so I offer something of a “bibliographic reflection,” with my thoughts plus additional illumination from valuable books. My Chaucer professor at Cornell University, Pr. Winthrop Weatherbee, asserted that the very concept of intellectual property went dormant in the medieval period. Any actual lineage of style or story elements is impossible to construct precisely. Plagiarism as such appears nowhere to be of any concern to Beowulf’s scribe, Chaucer, or Spenser. The English word “plagiarist” arrived in the 17th century (Oxford Dictionary of Phrase & Fable, 16th ed., 1999), derived from the poet Martial’s use of plagiarus, “kidnapper”, for a literary thief. Source criticism of medieval literature more resembles, say, mining or fishing than harvesting. Yet over and against pure original stories, medieval culture prized original treatment of traditional material. Medieval literature is therefore a challenging yet richly rewarding field for source criticism. Pr. Weatherbee declared that there is so much more to Chaucer as the last great medieval poet, the heir of a thousand-year tradition, than as the first novelist. No modern author drew so widely and wisely on this material than Tolkien. As a philologist, he was a kind of literary historian and detective. Indeed, to the extent that heroic literature survived from Beowulf to the Edwardian age, Tolkien was as much an heir of medieval tradition as Chaucer. He even prefaced the Lord of the Rings with references to the Red Book of Westmarch, which he describes as a manuscript compilation of sundry documents. Later readers, long after its composition, named it for its red leather binding and its location (librarians are familiar with that sort of folk classification!) This description matches any number of analogues, mentioned but now lost, in the ancient parchments that Tolkien knew so well. Often, medieval scholars trace connections, not so much to “sources,” as to “analogues,” or two or more works of uncertain date, both of which likely derived from a third source, now lost. Pr. Fisher is an independent scholar, and long-time editor of Mythprint, the quarterly newsletter of the Mythopoeic Society. He was also editor of Tolkien and the Study of His Sources, so if he did not “write the book” on his topic, he certainly edited a splendid example. He recounted the first inquiry into Tolkien’s sources, published in the editorial page of the Observer newspaper in 1938. Its author noted resemblances to Beowulf, and asked about other inspirations. Tolkien replied acknowledging Beowulf, the Eddas, and Norse runes, but demurred on the source of hobbits. His tone at that time was hearty and encouraging, saying, “I am as susceptible of flattery as any dragon.” In later years, amateur source criticism became a less disciplined and more fanciful sort of parlor game among his fans . Annoyed and disappointed, Tolkien began to deny and discourage such inquiries. This should not prevent his admirers from appreciating a number of efforts at source criticism, beginning with Lin Carter’s Tolkien: A Look behind the Lord of the Rings. Permit me to add that I value J.R.R. Tolkien and His Literary Resonances: Views of Middle-Earth, edited by George Clark and Daniel Timmons. Tolkien in the New Century: Essays in Honor of Tom Shippey (https://amzn.to/2HLsJqS) extends and enlarges upon the insights of the very eminent Thomas A. Shippey, and belongs on every conference-goers’ bookshelf. Edited books of scholarly articles are often overlooked, judging by how well they circulate. In these downsizing days, library shelf spaces are diminishing, putting valuable books in danger of removal from library collections. I therefore encourage visitors to this site to seek hidden gems in books of scholarly essays. 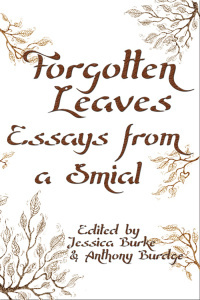 Among recent full-length books, Perilous Realms: Celtic and Norse in Tolkien’s Middle-Earth, by Marjorie Burns (https://amzn.to/2uuVzD2), compares Bilbo’s first journey to Rivendell with the artist and author William Morris’ misadventures recounted in Journals of Travel in Iceland, 1871-73 (https://amzn.to/2UfokC7). If I understood him correctly, Pr. Fisher title, “Bones of the Ox,” means the solid visible elements borrowed from the Medieval Germanic epics, Old and Middle English works, Gothic languages, and medieval Welsh legends. These sources form the scaffold used to construct Tolkien’s story. As his colleague Lewis created his fiction from pictures in his head, Tolkien may have begun his story with his keen interest in the sound of words. Languages had an appealing music to his ear. Thorin and his band seem to derive their names from a poem in the Poetic Edda, (https://amzn.to/2YpESXk), the Völuspá, (“Prophesy of the Seeress”). Within the poem, the Dvergatal, or “dwarf-catalog,” chants over seventy dwarf-names in succession, but Tolkien seemed to select his dwarf-names for their rhythm and rhyme when sounded aloud (Orí, Norí, Bifur, Bombur…). Pr. Fisher used the term “leaf-mold,” for the fluid or invisible hidden story elements, lying out of sight, but still detectable by their aroma. From the Dvergatal, Tolkien also used Gandalf (“Elf with a magic staff”) as well as Eikenskjali (“oaken shield”, the epithet given to Thorin). Yet, when it comes to original treatment, in contrast to the standard fairy-tale dragon in Beowulf, Smaug the Firedrake of The Hobbit has personality in abundance. This sharpens the drama in new (dare I say, unexpected) ways: the reader comes to know Smaug , as hissable a villain as he is. The heroes Bilbo and Bard survive the ensuing contest, while Thorin attains bitter wisdom and bittersweet reconciliation. In this way, Tolkien succeeds in sharpening the story’s heartbreak. Readers gain greater, and not lesser, enjoyment from Tolkien’s original working of traditional material. This view of Tolkien’s sources is somewhat at odds with his fellow Inkling, C.S. Lewis. In “The Literary Impact of the Authorised Version” (what Americans know as the King James Bible), 1947, he said it had little, writing, “A literary influence of which the reader is so consciously aware will not go deep.” KJV verses are so well known, he believed they would only distract. The moment readers encounter “Yea, though I walk through the valley of the shadow of death…” they instantly know the reference to Psalm 23, and lose touch with the author’s story-world. This was a pet theory he declined to mention further, and some of Lewis’ critics might find this ironic, since the Narnia stories, they believe, are so broadly evangelical. Yet it now seems that Lewis practiced what he preached. Michael Ward’s Planet Narnia: The Seven Heavens in the Imagination of C.S. Lewis (https://amzn.to/2FHL1a7), and its popular-audience companion, The Narnia Code: The Secret of the Seven Heavens (https://amzn.to/2FHhY6A), found medieval astrology among Lewis’ long-buried ox-bones and carefully concealed leaf-mold. The Narnia Chronicles “turn planets into plots”, from Jove, bringer of joy, in The Lion, The Witch, and the Wardrobe, to Saturn, bringer of age, calamity and death, in The Last Battle. It took decades to smoke out the Renaissance astrology, but every one of Lewis’ dwindling number of living friends affirms, “This is just what Jack would do.” He wanted to evade the modern age’s “watchful dragons” on guard against the Bible, in order to reach them with renaissance cosmology. However, if I followed Pr. Fisher correctly, source criticism does not spoil, but rather deepens, readers’ entry into fantasy literature. Likewise, features that many, Tolkien included, saw as flaws in the Narnia Chronicles have gained an internal consistency that scandalizes fewer readers. The medieval age knew their own traditional stories as thoroughly as Englishmen knew the Authorised Version, yet they thrilled to hear familiar tales retold, as modern music-lovers enjoy covers of old songs from new artists. Source criticism of the Inklings can allow us to reread their work with fresh eyes, for their use of the ancient sources never happens by accident. When we perceive Middle-Earth’s sources, the fresh and original treatment, which Tolkien (or Lewis, or Morris) created, has the greatest impact of all. In the next few weeks, I hope to publish more reflections upon the 2019 New York Tolkien Conference, covering the rest of the day’s sessions that I attended. My best wishes to visitors, now that spring 2019 has finally arrived.